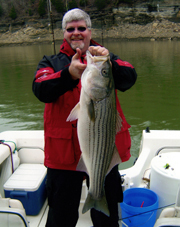 Receive a 10% discount off of your fishing charter for BoatUS or BoatUS Angler Member's. Not a BoatUS Member? You could be missing out on boating insurance discounts and other benefits. Click here to find out more information about becoming a BoatUS member. 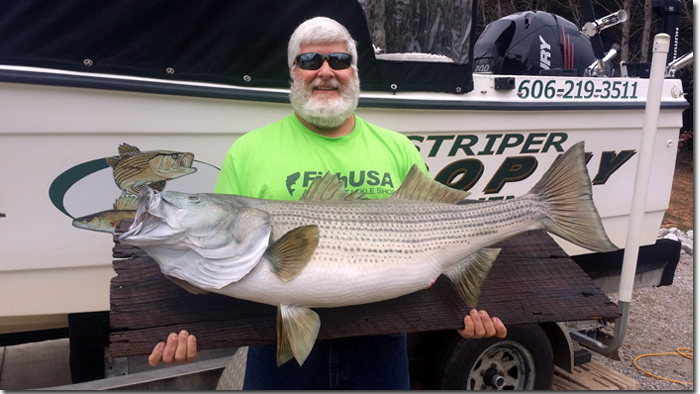 Whether you are in search of that Trophy fish, or you're just wanting some relaxation time on the lake with friends or family, we provide an enjoyable experience that will have you longing for your next trip. 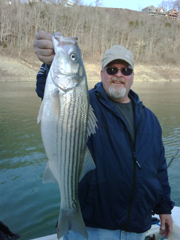 Adventures in angling for Striped Bass better known as "Rock Fish" on Lake Cumberland. Proud Supporter of Kentucky Wounded Heroes and Wounded Warrior Project (WWP) Fishing Adventures. For your Safety and Comfort a 22 ft. Deep-V Walkaround Cuddy Cabin Fishing Boat, equipped with full enclosure with heat (seasonal) and the latest electronics such as a HumminbirdTM Helix 12 SI/DI HD Fish Finder, Heading Sensor, Electronic Maps and GPS Navigation System as well as Humminbird 360 imaging system. Fishing license. ( resident/non-resident )Note: Please purchase prior to date of trip! 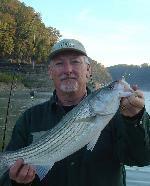 Attitude is everything, and we strive to make your fishing experience with us on beautiful Lake Cumberland positive. We are 100% committed to customer satisfaction and go out of our way to provide you with the best fishing experience we possibly can. We want your adventure to be forever etched in memory and want to see you back time and time again. Book a trip with us soon, you'll be glad you did! 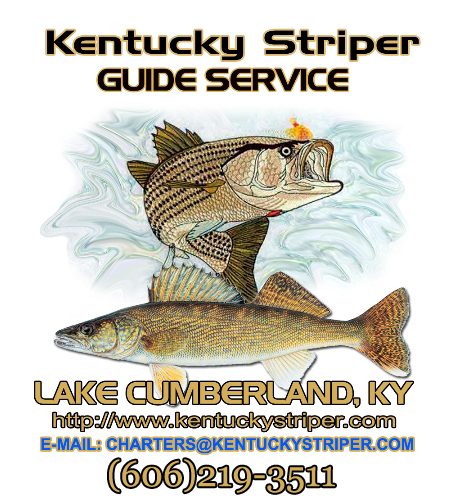 Angler's need to have on their person a valid State of Kentucky fishing license that covers the date of their trip. 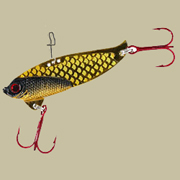 It is best to purchase a fishing license at a minimum of a day prior to your trip since most local merchants are not open for business early in the morning when the bite is on. To avoid delays in your fishing adventure please ensure you have the appropriate resident/nonresident fishing license. 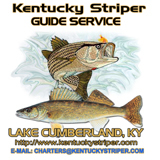 For your convenience we have provided a link to the Kentucky Department of Fish and Wildlife Resources Online License site. Please click https://fw.ky.gov/license/waonlinefront.aspx to purchase your license online now. Note: You will need access to a printer in order to print your license online.